On this, the centenary of the birth of one of the UK's best-loved entertainers "Two-Ton Tessie" O'Shea (sometimes nicknamed in her lifetime as "Wales's answer to Ethel Merman"), it's time for some proper old-fashioned variety-show entertainment. In 1964, Tessie got her big break in America when she happened to be a guest on The Ed Sullivan Show, on the same bill as the Beatles. Their appearance drew the largest audience in the history of American television at the time and suddenly "Two-Ton Tessie" came to the attention of millions of people, and landed a (short-lived) career across the pond. She was more familiar to UK audiences as a regular on the much missed Music Hall show The Good Old Days. 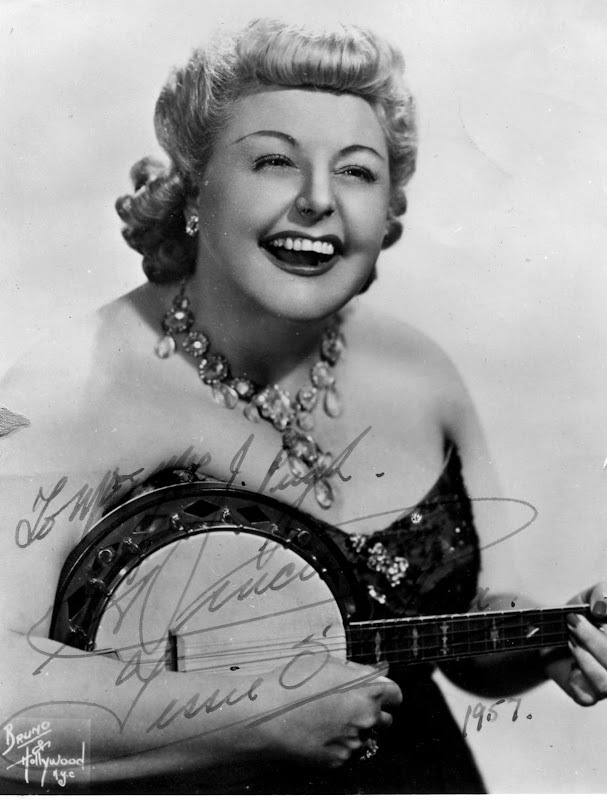 I actually remember seeing Tessie O'Shea and her banjolele live on stage when I was a child. A formative influence, obviously.